"Salads, Sandwiches, and Desserts” by Wayne Thiebaud is on display at Sheldon Museum of Art through July 14. 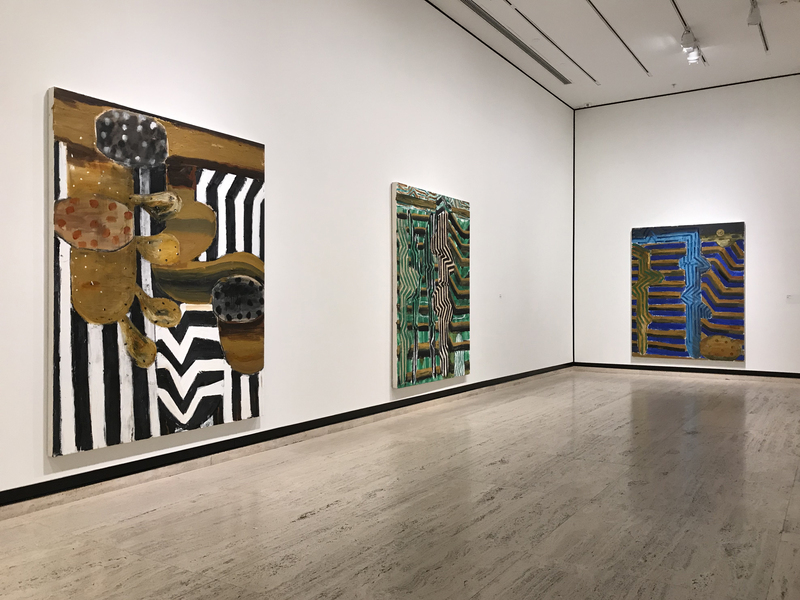 From a journey through coastal seascapes to an exploration of food as comment on social, cultural and political issues, a seasonal flip of exhibitions is offering an array of viewing experiences at the University of Nebraska–Lincoln’s Sheldon Museum of Art. All exhibitions show through July 14 unless otherwise noted. As alluded to in the title, “Table Manners: Art and Food” examines how artists have long explored food as a theme in their work. Along with satisfying viewers’ insatiable taste and physiological need for edible things, the exhibition features works in which artists have depicted food to comment on social issues, cultural values and political agendas. The exhibition is on display across six galleries, spanning a period from the late 1800s through today. It includes important works from Sheldon’s permanent collection alongside several prominent loans. In conjunction with “Table Manners,” Ijeoma Oluo, author of “So You Want To Talk About Race,” and Soleil Ho, host of the podcast “Racist Sandwich,” will discuss the intersection of food and social constructs. Nebraska’s Casey Kelly, associate professor of communication studies, will moderate the discussion. The free program begins at 6 p.m. Feb. 19. First Friday events from February to May will serve up a four-course extravaganza, integrating an art-related activity with food. Monthly themes are: Appetizers in February; Soup and Salad in March; Main Course in April; and Dessert in May. “Real Food/Real Facts: Truth, Politics and Power in the U.S. Food and Information Landscape,” a public talk by Charlotte Biltekoff, associate professor of American studies and food science and technology, University of California, Davis, 5:30 p.m. April 18. This is sponsored by Sheldon and the university’s Humanities on the Edge program. "John Walker: Moment of Observation” showcases the land and sea paintings of John Walker. In “John Walker: Moment of Observation,” Sheldon is showcasing the land and sea paintings of John Walker. Featured works are in both large and small-scales, all inspired by Walker's residence on the coast of Maine for the past 15 years. Walker will discuss his creative process and fascination with the Maine coastline in a 6 p.m. March 5 conversation at Sheldon. The discussion will be moderated by Jennifer Samet, curator and art historian. Walker studied at Birmingham College of Art and La Grande Cheumiere in Paris, and taught at Victoria College of the Arts in Melbourne, Australia, before moving to the United States in 1969. From 1993 to 2015, he served as professor emeritus of art and head of the graduate program in painting at Boston University School of Visual Arts. 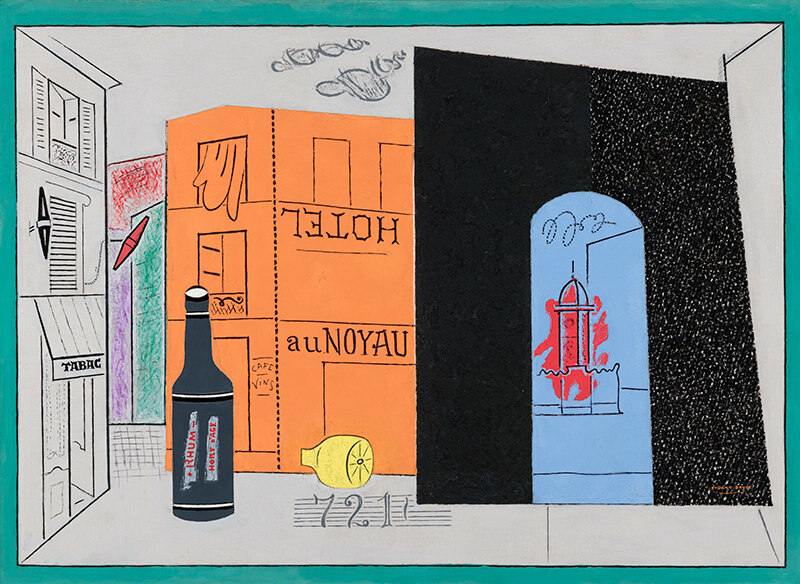 “Stuart Davis: Arch Hotel” — Built around Davis’ “Arch Hotel” masterpiece, a 1929 painting that is part of Sheldon’s collection, this exhibition is enhanced by prints and drawings made by the artist while living in Paris. The extra works, which include loans from the Amon Carter Museum of American Art, shed light on the formal qualities of “Arch Hotel” and provide historical and geographical context. Karen Wilkins, art critic and curator, will discuss Davis’ “Arch Hotel” and the energetic spirit of 1920s Paris in a 6 p.m., April 11 talk in the museum. This exhibition closes May 5. “Sheldon Treasures” — This exhibition continues the museum’s focus on showcasing some of its most beloved and iconic artworks. Featured artists include Louise Bourgeois, Aaron Douglas, Hans Hofmann, Robert Motherwell and Georgia O’Keeffe. A public talk at 5:30 p.m. March 13, “Edward Hopper’s Iconic Painting: ‘Room in New York,’” will be led by Leo Mazow, curator of American art at the Virginia Museum of Fine Arts. Mazow’s visit is co-sponsored by the School of Art, Art History and Design, Convocations Committee, Research Council and Sheldon. Admission to Sheldon is always free. Learn more about the museum, including hours and other special events.